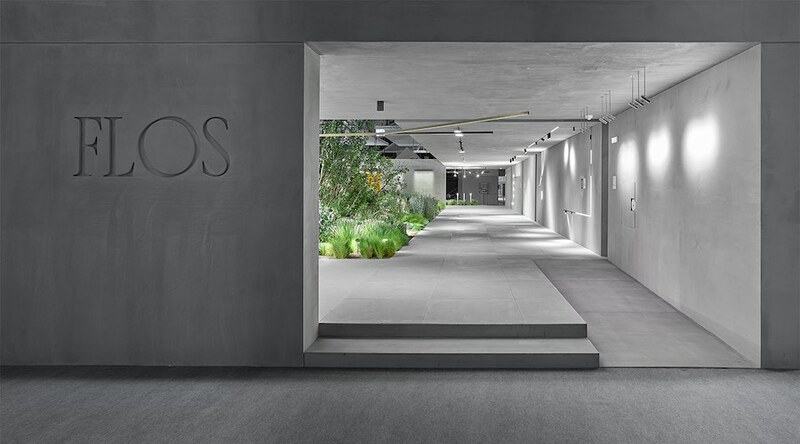 Flos’ stand at Light+Building 2018 – Photo by C41 Studio. Light+Building 2018 – Architects, lighting designers and engineers are flying to Frankfurt to explore the status of the art of lighting, electrical and electronic technology and home and building automation at the world’s largest trade fair for lighting and building services technology. Archipanic selected some of the best innovative designs on show. 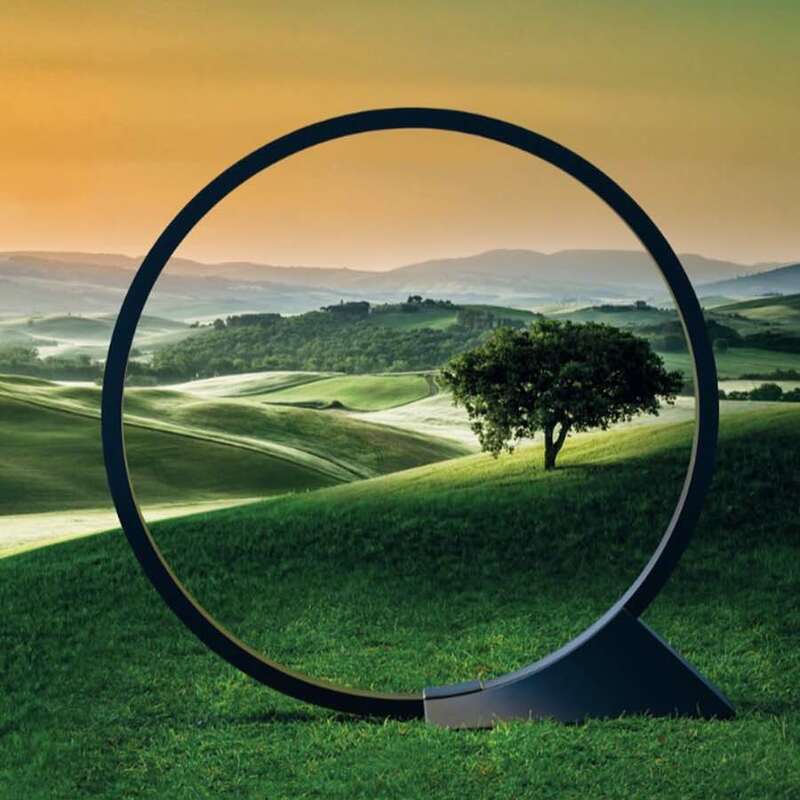 Pritzker Prize laureate Alejandro Aravena and his team at his architecture studio ELEMENTAL presents the O lighting collection for Italian brand Artemide.“The more the planet becomes urban, the more we appreciate the value of natural spaces” explains Aravena. “But one of the strongest intrusions in the natural order is the disappearance of darkness in our cities”. Indeed, plants and animals need darkness to distress and recharge their batteries but in our attempt to make parks safer, poles and cables lit all night long end to spoil Nature’s rhythm crucial for their survival. 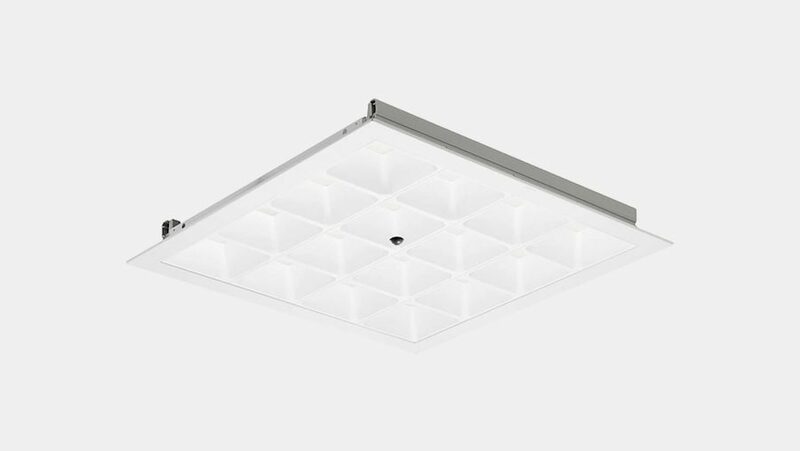 World leader Philips Lighting is now offering Light Fidelity (LiFi), a technology in which high quality LED lighting provides a broadband Internet connection through light waves. LiFi is a two-way, high-speed wireless technology similar to WiFi which uses light waves with a speed of 30 Mb per second instead of radio waves to transmit data. 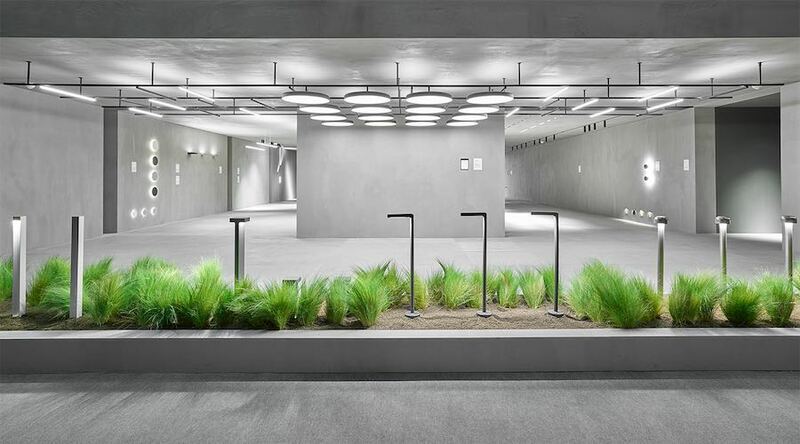 Vincent Van Duysen’s brutalist pavilion inspired by a Roman villa for FLOS showcases the Italian company’s smart architectural lighting solutions for indoor and outdoor. The FLOS Smart Control© mobile app allows to control, point and dimmer all the brands lighting solutions which can be mounted on a rail track. “At the core of the monolithic architecture of the pavilion we also created a secret garden contrasting with the architectural language,” explains Vincent Van Duysen. 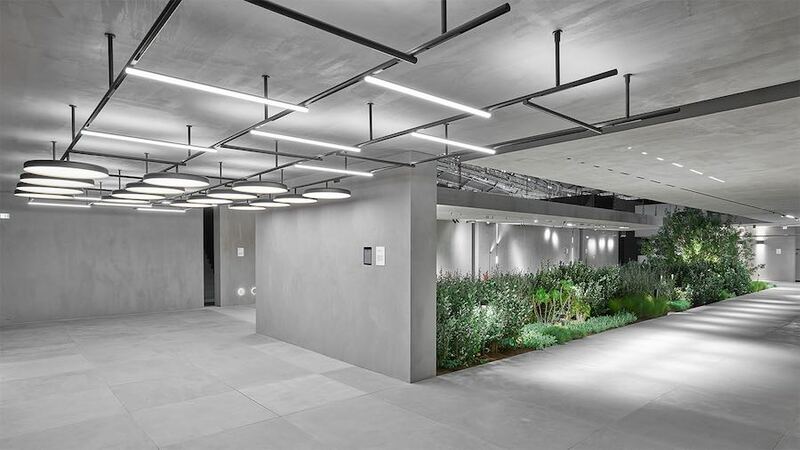 Among the new designs also Diversion, the modular collection for diffuse lighting solutions by Piero Lissoni and the Zero Track miniaturized and dimmable light elements. 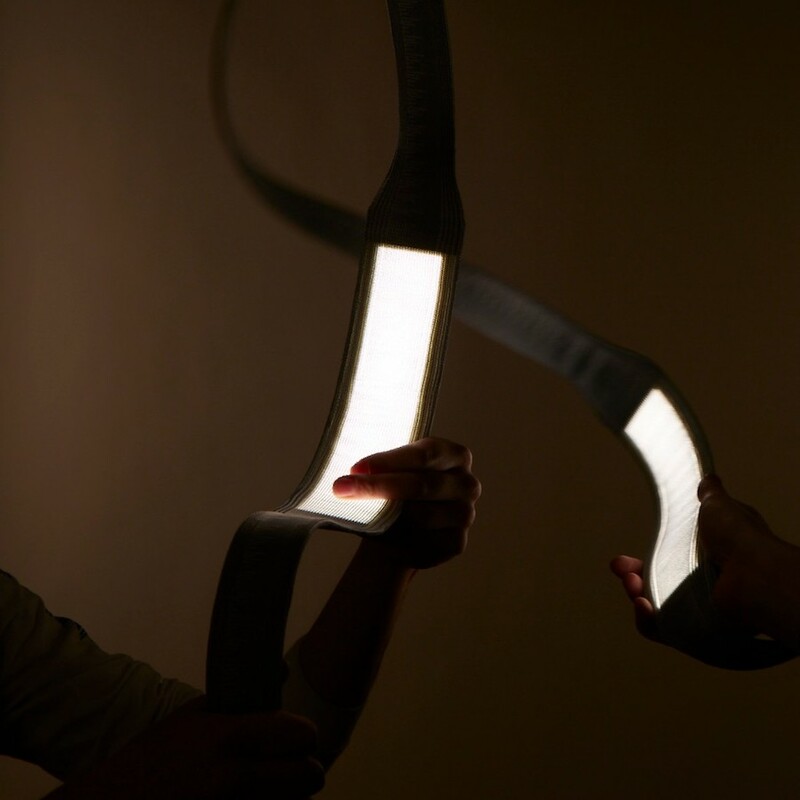 Rich Brilliant Willing in collaboration with OLEDworks presents a conceptual display showcasing its latest experimentation with thin flexible OLEDs, solid state lighting fabricated by OLEDworks. With the absence of any structural constraints, the studio designed a malleable fabric housing with custom, 3D-knit fabric by Stoll, the world’s leading knitting machine manufacturer. 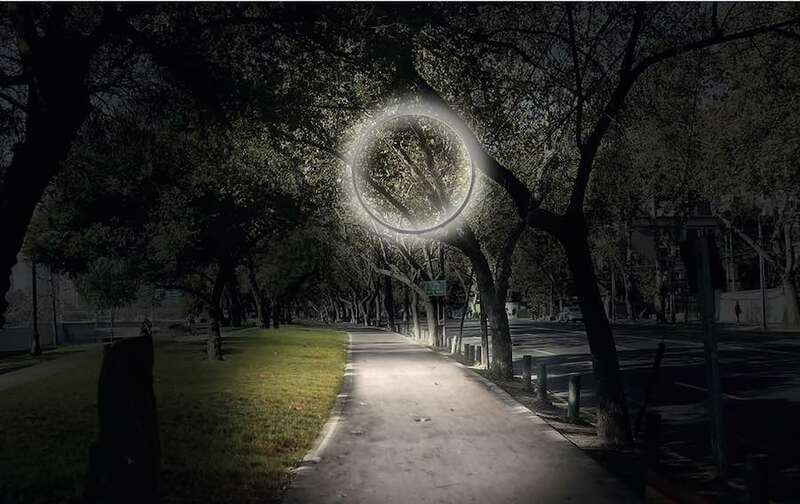 The result is a seamless fabric sleeve which maximizes the inherent flexibility of OLEDs, opening the possibilities for revolutionary integration of two emerging technologies: Organic Light Emitting Diodes and 3D Knitting. 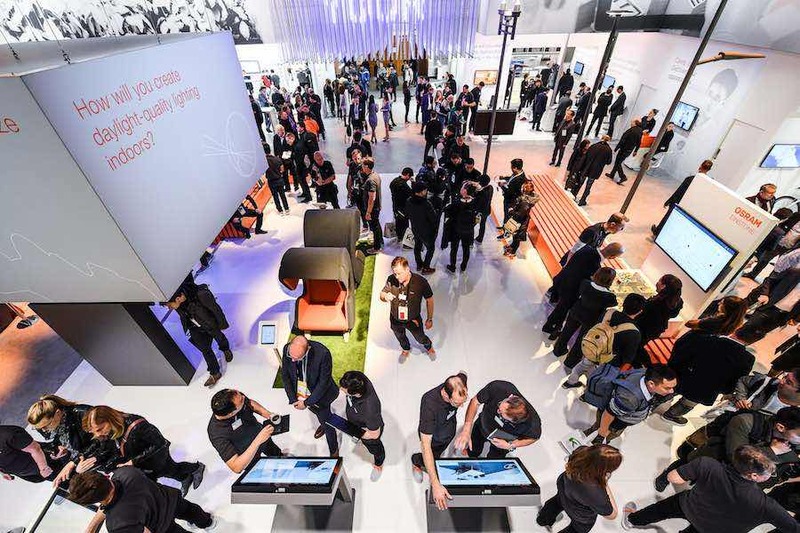 Light+Building 2018 – Photo by Pietro Sutera / Messe Frankfurt GmbH.